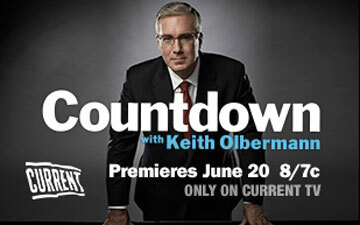 Countdown seems to be the appropriate name of Keith Olbermann’s show. The former MSNBC talk host is losing viewers at a good clip. In fact he has 57% fewer eyeballs on his program than when it debut on the Current TV network. Making this worse is that he is being paid $10-million for this fiasco. This begs the question, at which number is he launched out of his seat? Posted on October 19, 2011, in Broadcasting, entertainment, media, news, Talk, Television and tagged broadcasting, entertainment, journalism, media, news, olbermann, television, tv. Bookmark the permalink. Leave a comment.